The Clubhouse telephone number is 0116 269 6396. Since the Club employs no staff, an answer on this number can be expected only on match days or on other occasions when the Clubhouse is in use. On-site parking for visitors (6 bays) is now available to midweek visiting teams. On Saturdays, visiting teams are invited to make use of the facilities offered by Furnleigh House which is situated on Melton Road, immediately opposite the entrance to Central Park. 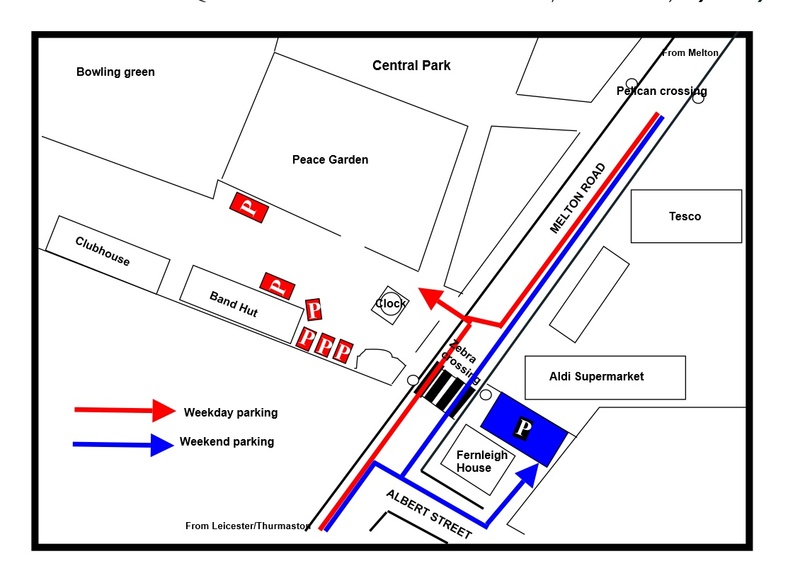 The entrance to the car park is in Albert Street (See map). Those using the on-site facilities are asked to follow the instructions of marshals sited at the double gate entry to the Park.